This is one of those items that will set your collection apart from others. 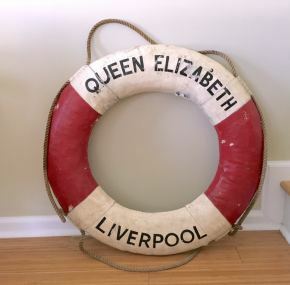 An original on-board life ring from the Queen Elizabeth. Measuring about 29″ in diameter, this life ring has a special history to it. It comes from the estate of Ron Johnson, who started his career with Cunard in 1926 and retired in 1971 as the Manager of New York Operations. 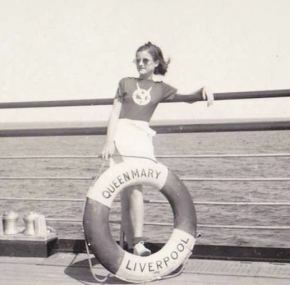 What a great time to have a career with Cunard! 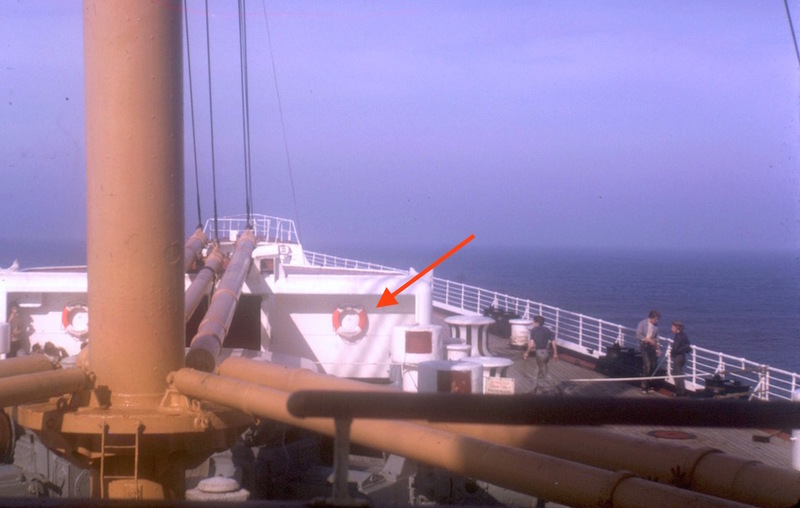 Ron spent a lot of time on board the QE while she was cruising, and of course, he got it directly off the great liner himself, perhaps just before she left New York for the last time. 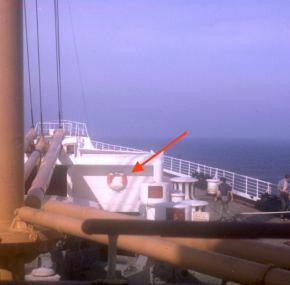 The life ring is in great condition although it is missing a bit of paint here are there. I don’t need to tell you how rare these things are, especially with such a great provenance. It doesn’t get any better than this. Life rings appeal to the nautical collector and ocean liner collectors alike. Even your non-liner friends will be impressed!